LeTV Le Max 2 is a Smart Phone powered by Android 6.0.1 based EUI 5.8 with 21 megapixel rear and 8 megapixel front camera. It has a 5.7 inch 2k display with 4k recording and type C port. Supports 4g and dual band connectivity with availability in 32gb and 64gb. First up, it has a 2k display and the 21mp rear camera is just an addition on to some really good picture quality too. The model is designed in a way such that phone is visually appealing. It runs on 6.0.1 marshmallow with Snapdragon 820 processor, the device works smoothly which is a big advantage to gamers. LeEco&apos;s content ecosystem provided free multimedia and a list of movies which you can access to.Given the price range, this device is definitely a catch. First and the most important, there is no audio jack, the Type-C port has to be used as one. Keeping that aside, the battery life is pretty average and the users might face problems with the fingerprint sensor. It&apos;s the second flagship device by LETV after entering the Indian market. The first one being over priced the second one was launched with a pretty cheap price tag. The phone sports a 2k display which looks really great and is pretty bright. The phone comes packed with a sd820 coupled with 4gb of ram and limited memory of 32gb which cannot be expanded either. The phone has CLDA feature and bundles the CLDA earphones during offers and sales or else you can buy it for a price tag of 1990 . The earphones are indeed great. The audio is Dolby hardware and something which can be turned on and off whenever you wish to. Relatively lower gaming performance than other SD820 phones but good enough in its price bracket. 3 Pricebaba users have written their experience with LeEco Le Max 2. If you own LeEco Le Max 2, please do leave your feedback too. 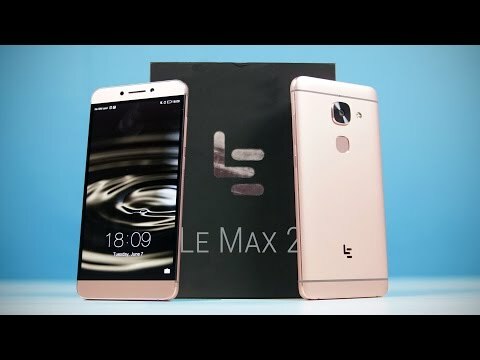 The LeEco Le Max 2 can been seen as the elder and more powerful cousin of Le 2. It looks like the Le 2 went to a gym and beefed up with a lot of power and came back even better. The smartphone at its announcement was one of the first to come with a 6GB RAM on board as LeEco had announced two versions of the phone, one with 4GB of RAM and the other with 6GB. Other than a solid RAM, the following is what the device comes with. The display on the Le Max 2 is a 5.7 inch Quad HD IPS panel. This equates to a pixel density of 515, which should make the experience of consuming media on the phone a pure joy. Flipkart claims that the device can reproduce up to 95% of the colour gamut. The design of the phone is fairly similar to the first Le Max, and you have a metal unibody construct. The camera bump is fairly pronounced on the back of the phone. The edges have chamfers and the phone is fairly heavy unit at 185 grams. The overall thickness of the phone is 7.99 mm. Also, on the back, you will notice that LeEco has used the new updated logo rather than the LeTV logo. The LeEco Le Max 2 is powered by Snapdragon 820 chipset with four Kyro cores running at 2.15GHz. There is 530 GPU that is included. You get an option the device with a 4GB of RAM or 6GB of RAM. The pricing of the device obviously varies for the two devices. The Max2 has an Ultrasonic fingerprint scanner on the back, which promises to unlock the phone really rapidly. There is also a MIMO technology that comes with the phone so that your WiFi network stays strong. Just like the Le 2, there is no 3.5mm headphone jack here and you are looking at the USB Type-C port for audio playback on headphones. The phone is CDLA-enabled, which gives you a close to lossless audio experience. It runs Android 6.0 out of the box. The rear camera on the Le Max 2 is the Sony IMX230 sensor with 21MP. There is OIS built in and a dual tone LED flash in order to get you good shots in challenging situations. LeEco has stated that it took about 540 days of calibration to get the camera right. The front facing camera is an 8MP sensor for all your Snapchat demands As mentioned above, the Max2 is available in two variants, there is a 32GB internal storage version with 4GB of RAM, while the other available unit is a 64GB version with 6GB of RAM. There is no MicroSD card slot on the phone. The battery on the Le Max 2 is a non-removable 3100 mAh unit. You can use the provided USB Type C port in order to charge the smartphone. There is Quick Charge 2.0 included for faster charging. On the connectivity front, you have Dual SIM cards included, both of which support 4G LTE. Other connectivity options include the likes of WiFi, Bluetooth and NFC. The Le Max 2 mainly finds itself stacked against flagship killer devices like the Xiaomi Mi5 and the OnePlus 3. If you are looking at a phone with 6GB of RAM but with a near stock Android experience, you should go with the OnePlus device. There is also the Moto X Style, if you want a simpler phone, with better ergonomics, though you do miss out on features like fingerprint scanner. 1.Does this LeEco Le Max 2 Prime work with Reliance Jio Network? Ans: Yes, the LeEco Le Max 2 supports VoLTE and will work on Reliance Jio Network. 2.Will this support my Nano SIM card? Ans: Yes, the LeEco Le Max 2 has Nano SIM slots. Ans: No, the phone does not have a Hybrid SIM slot. 4.What type or charging connector do I need? Ans: The LeEco Le Max 2 uses a USB Type C connector. 5.How is the camera performance for this phone? Ans: The phone has a 21-megapixel primary camera and a 8-megapixel selfie camera on the front. The image quality is very good at this price. Ans: No, the battery on the phone is not removable. 7.Can the phone memory be expanded? Ans: No, the phone does not have a micro SD memory card slot. Users have to make do with the internal memory of 32GB.